Add more value to your existing VersaTube structure with our easy do-it-yourself front enclosure kits. What is the tubing size of your structure's main frame? Do you want a frame only or fully sheeted front enclosure kit? Are your sheet metal walls horizontally or vertically sheeted? 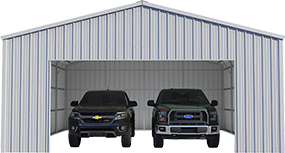 Do you want a garage door frame opening in your front enclosure? 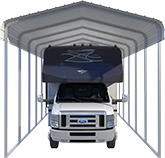 Garage doors are not included. 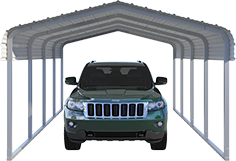 What are the width and height of your garage door frame opening? Do you want a walk door frame opening in your front enclosure?